KRZI was heard a couple of times during AND3. 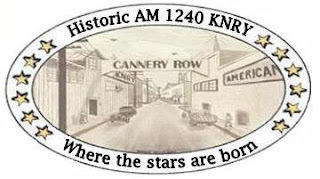 I heard them with local comercials and a top of the hour ID including a "16-60 ESPN Radio K-R-Z-I Waco". Bill LeGrand, General Manager kindly verified my report. Thank you! WAEI came up with a top of the houer ID one morning on AND4. Brief e-mail from Jonathan Shields, Bangor Operations Manager verified my report. Brief e-mail verified my report to Radio Belgrano 1510. This station was heard with a good signal during AND1 DX-expedition in October 2007. Brief e-mail from Jim Vossen verified my AND2 report to KNRY. Finaly some action on FM this season. A short opening to Poland around 1700 UTC this evening. Many Polskie Radio 1,2 and 3 station, a couple of RFM and Radio Zet stations and Radio eR, Lublin 87.9 was heard. Hope for more action the next days . Radio Monte Carlo is a station I have heard several times during my nearly 39 years of DX-ing. Finaly I received a nice verification from the station. Thanks to OJ Sagdahl who came up with v/s information. Robert Rocha kindly verified my report. Thank you. WINC was heard on my best expedition ever - AND3. Jeff Adamas kindly verified my report with a e-mail. John Warren, Program Director verified my report in a nice e-mail. 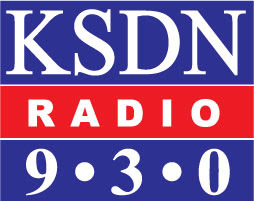 KDAL is located "down the hal" from WDSM, belonging to the same company Midwest Communications Duluth. The goal now is to hear their 3rd AM station WGEE 970. Nice e-mail from Mike Rasmusson verified my report to WDSM. WDSM was heard with a fair signal on AND4. E-mail from Bob Nameck, Program Director verified my AND4 report to "The Ticket ESPN Radio 700.